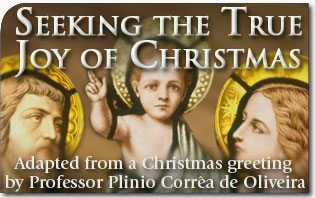 The preceding article is taken from a Christmas greeting of Prof. Plinio Corrêa de Oliveira to The American TFP in 1980. It has been translated and adapted for publication without his revision. — Ed. 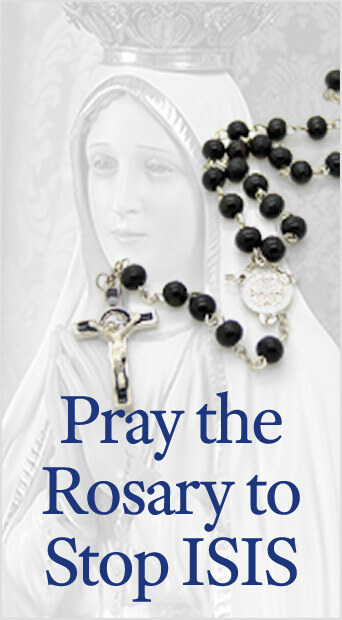 This entry was posted in Catholic Perspective, Plinio Corrêa de Oliveira and tagged affliction, America, Birth, blessings, calamities, Catholic, Catholic Church, Child, Christmas, crisis, Divine, Family, Fatima, Holy Family, humble, Jesus, Joseph, joy, Mary, New Year, Our Lord, Providence, Redemption, Saint, society, suffer, TFP, true, Universal Mediatrix by Plinio Corrêa de Oliveira. Bookmark the permalink.